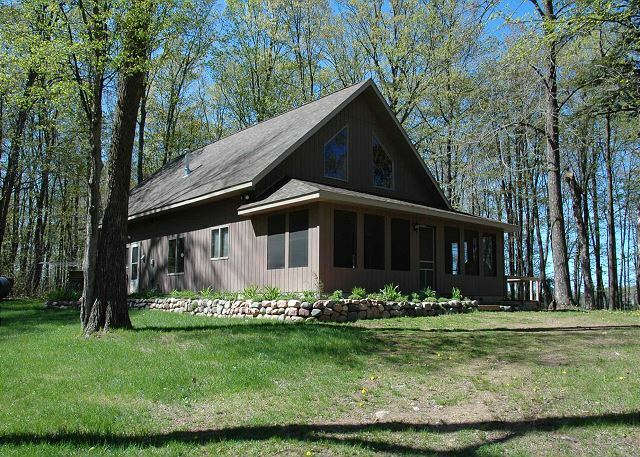 30 Point House is a great Lake Namakagon vacation rental offering a large lakeside yard, excellent sand beach, deck with gas grill, 3 bedrooms and 1 ½ baths near Cable, Wisconsin. 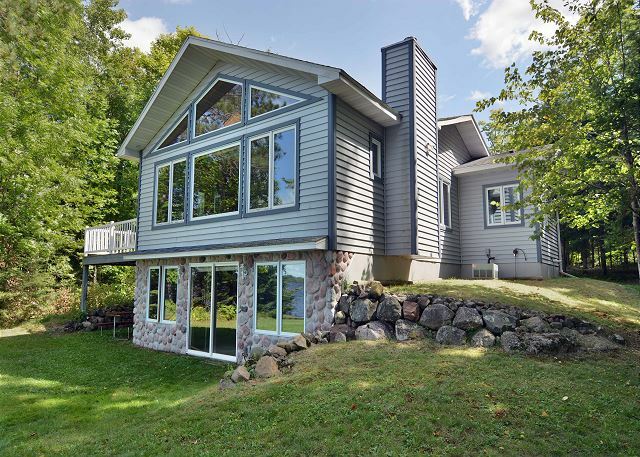 4 bedroom home has 80 feet of level grassy frontage and a wonderful sandy area for swimming on Lake Namakagon. 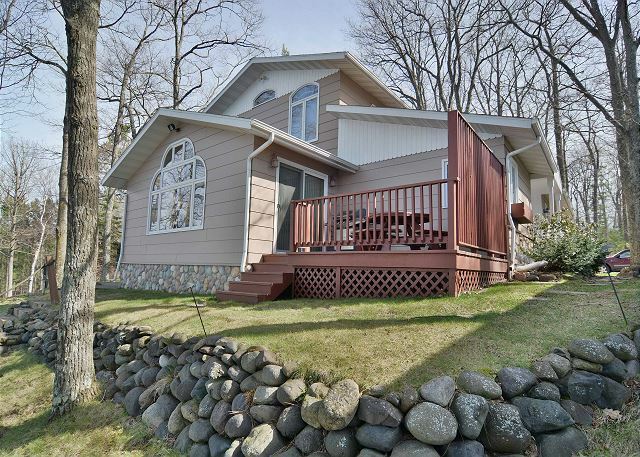 The 2 bedroom lake home rental features a spacious living room with skylights and spectacular views of the lake. 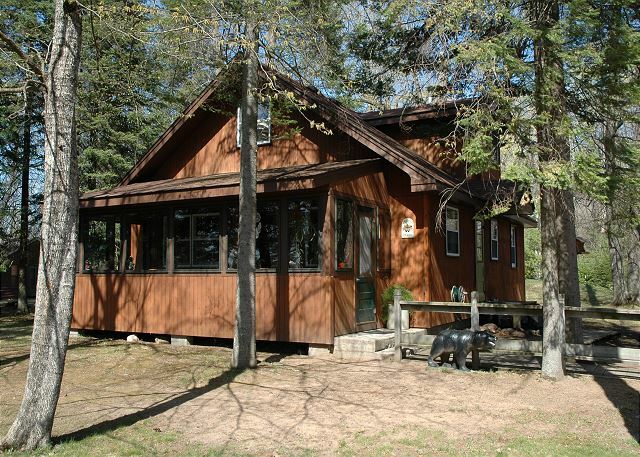 This 3 bedroom, 2 bath cedar-sided vacation home is situated on a peaceful stretch of the Namekagon River with access to popular Lake Namakagon. Over 1,700 square feet of comfortable living space conveniently located on one floor. Enjoy a wonderful Northwood’s setting – the river “cascades” out of the lake at this location over an old logging era rock dam. 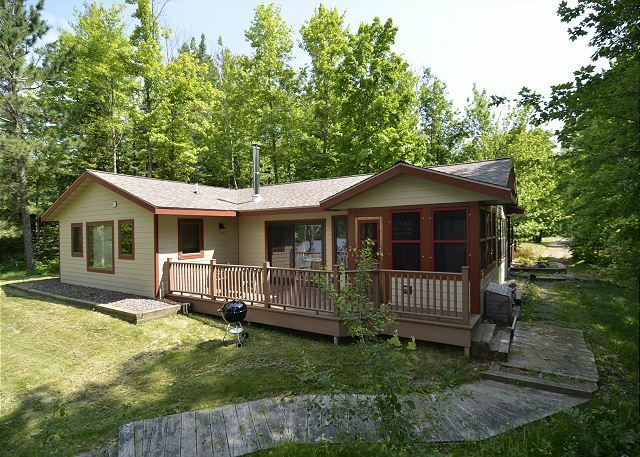 Explore Lower Clam Lake’s fishing and recreational opportunities or the surrounding Chequamegon National Forest. Sunset on the Bay a beautiful westerly lake view of one of the Hayward, Wisconsin Area's most popular lakes, this comfortable vacation home lives up to its name! 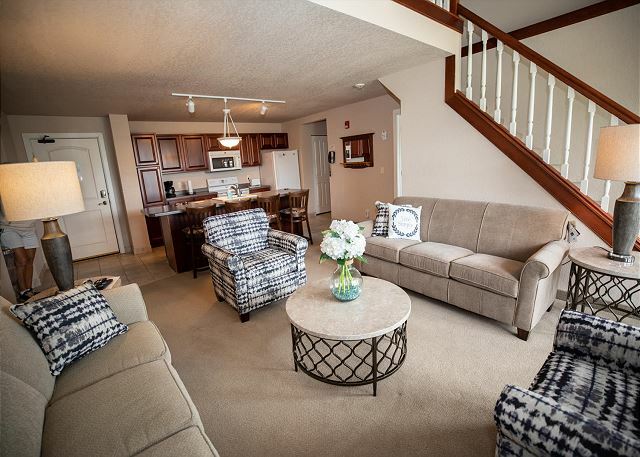 Spacious 3 BD/ 3 BA condo at Tagalong Resort with 3 private bedrooms, 3 bath, 2 sofa sleepers, full kitchen, living room, 2 fireplaces, and balcony overlooking Red Cedar lake in the same building as the indoor pool and fitness center. 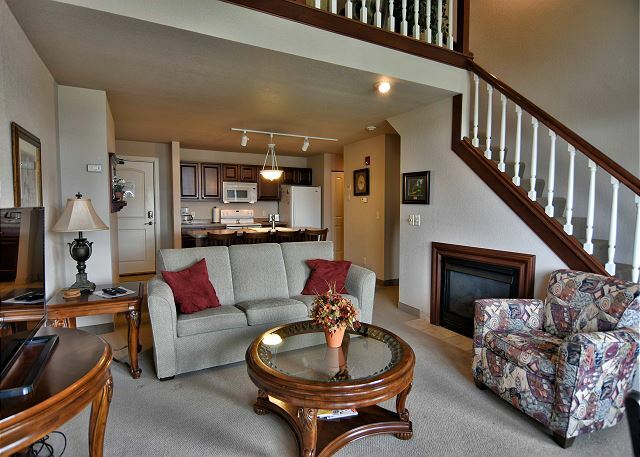 Spacious 3 BD/ 3 BA condo at Tagalong Resort. 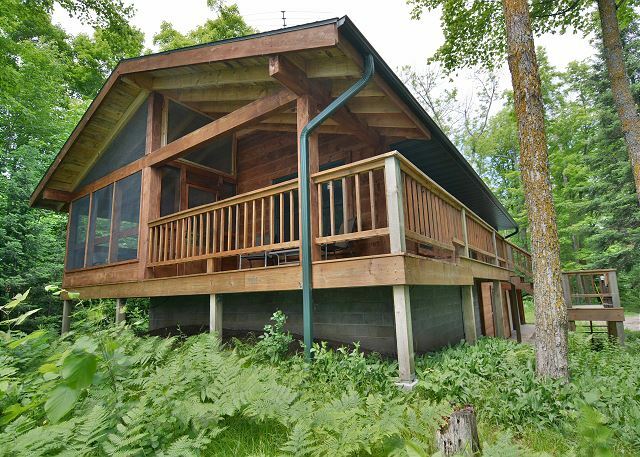 This unit has 3 private bedrooms, 3 bath, 2 sofa sleepers, full kitchen, living room, 2 fireplaces, and 2 balconies overlooking Red Cedar lake. 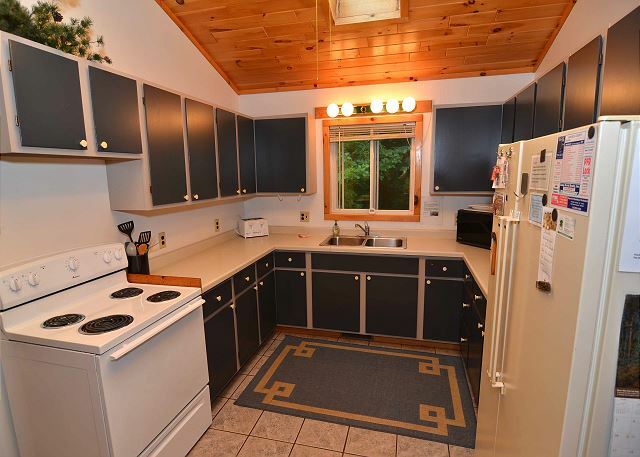 A spacious vacation home rental on popular Lake Namakagon offering two levels of large, open living areas, 4 bedrooms, wrap around deck, and screened in porch. 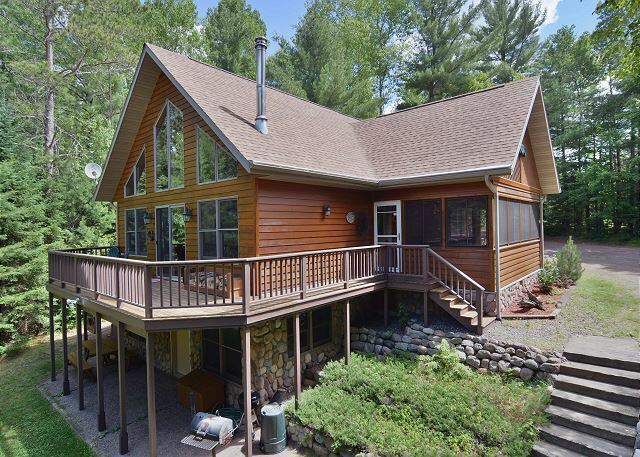 Spacious 3 bedroom, 3 bath vacation home offering hard-to-find lodging and privacy on 8 acres with 1800 feet of lakeshore and can be rented for less than a week in the summer! 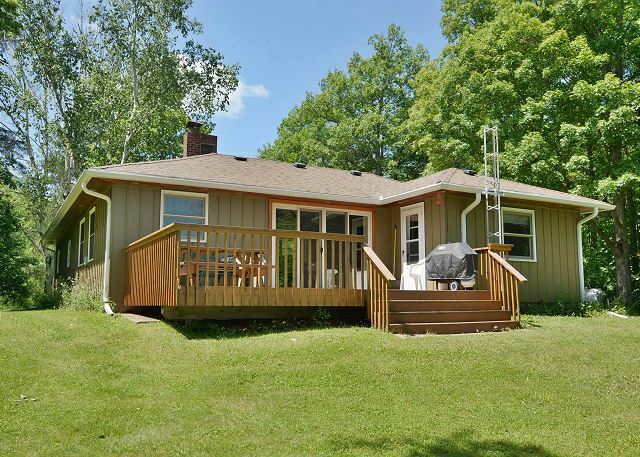 newly remodeled 4 bedroom and 2 bath lake home vacation rental located on the shores of one of the Hayward, Wisconsin Area's most popular "Quiet Lakes".